Classic Claddagh hoop earrings made in 14k yellow gold with a polished finish and traditional crown, heart, and hands design. Hoops measure 13/16" in size. Made with latch closures for optimal security. 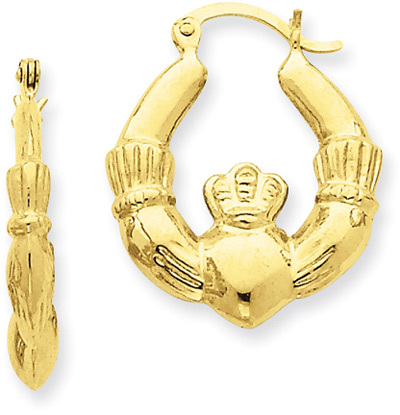 We guarantee our Claddagh Hoop Earrings in 14K Yellow Gold to be high quality, authentic jewelry, as described above.